The metaphysical services marketplace PsychicTarot.us is inviting creators of brain wave entrainment aural meditations to sell their products with their community in the newly created meditations category. PsychicTarot.us, the online new age services marketplace that allows users to sell their services online, has created a new category for services 'meditation' and released an invitation for brain wave entrainment product sellers to list their goods. Creation of the new service section is a result of community driven requests for digital meditation products. Creators of high quality aural entrainment tracks, software, or related download products interesting in offering their products on PsychicTarot.us can join the community by visiting the official website. Early adopters are likely to benefit by being the first to list their services. "Binaural entrainment research has revealed some fascinating benefits to listening. Users report improved mental capabilities, psychological benefits, and connecting with our 'higher self'. We look forward to working with some of the top providers in this interesting field," said Katia Shayk, representative with PsychicTarot.us. Brainwave entrainment works by providing the user with periodic aural stimulation that mimics the frequency of human brainwaves, according to Wikipedia, which causes the listeners brain to mimic the frequencies, thereby inducing desired effects. The desired frequency might be associated with a number of brain states including; sleep, deep relaxation, meditative states, creative states, knowledge acquisition, and many others. A study done by the National Center for Biotechnology Information (NCBI) in 2008 concluded that brain wave entrainment is an effective therapeutic tool. Listening can be powerful for more than just inducing a deep meditation. According to the study, people suffering from cognitive functioning deficits, stress, pain, headache/migraines, PMS, and behavioral problems have benefited from such techniques. "A number of creative audio programs have been made that can help people meditate, relax and empower themselves. 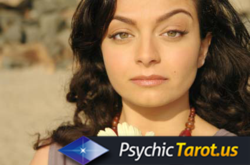 For creators, working with PsychicTarot.us is a perfect fit," added Ms. Shayk. As entrainment therapy and brainwave inducement techniques develop, early adopters are sure to be great news for those who can benefit from this type of therapy. See what services are available at the world's only community driven marketplace for high quality metaphysical services. Where psychic readers, healers, and tarot card dealers meet the world.